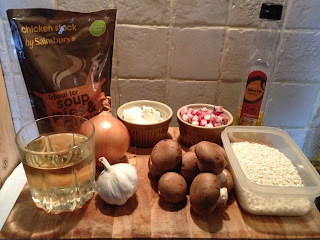 Every so often I have a freezer stocking session, usual things are a spicy prawn curry, lasagne & a light-ish risotto. 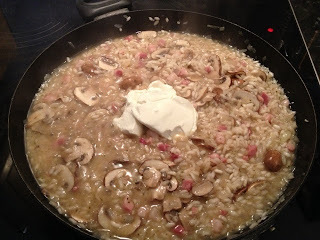 The type of risotto depends on what vegetables I have to hand...if you don't like mushrooms you can always leave these out entirely or substitute for peas or asparagus. This recipe will make enough for 4 generous portions. 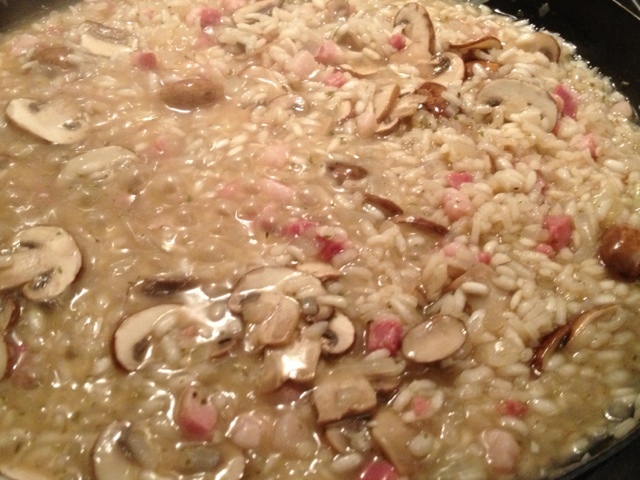 Gently heat 2 tbsp. of olive oil in a large flying pan and gently fry the garlic, onion and pancetta with a generous amount of black pepper and a small amount of salt. 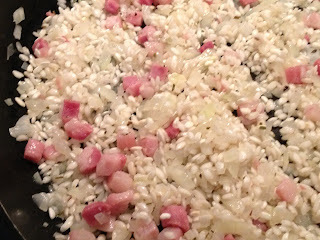 Once the onion has softened and the pancetta has cooked through add the dry rice to the pan. Stir into the onions until the rice has been coated by the cooking juices. 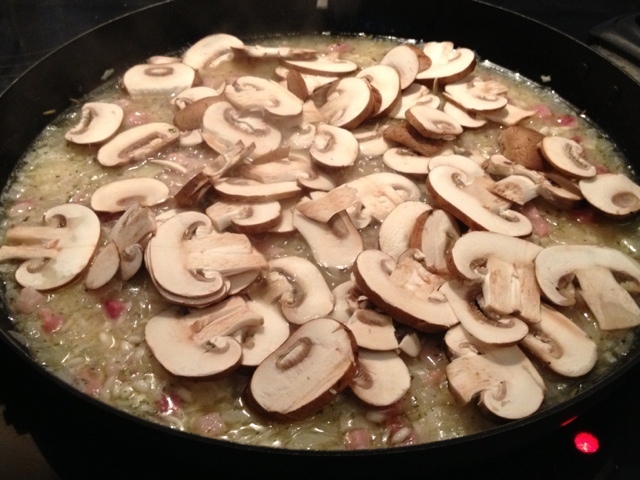 Add the mushroom to the pan, and again only stir occasionally, just to stop the rice from sticking to the base of the pan. 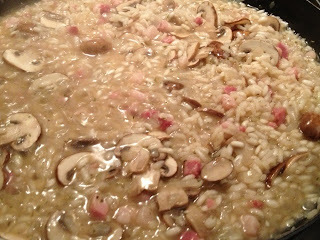 Add the final third of stock and taste some of the risotto to check for seasoning. 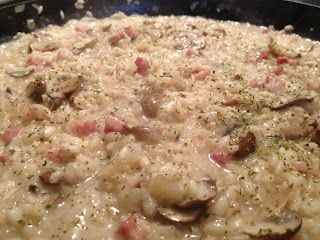 Once the stock is almost absorbed add the cream cheese and parsley, gently stir through. If you want to have a richer risotto, rather than cream cheese you could add fresh grated parmesan and/or double cream at this stage. 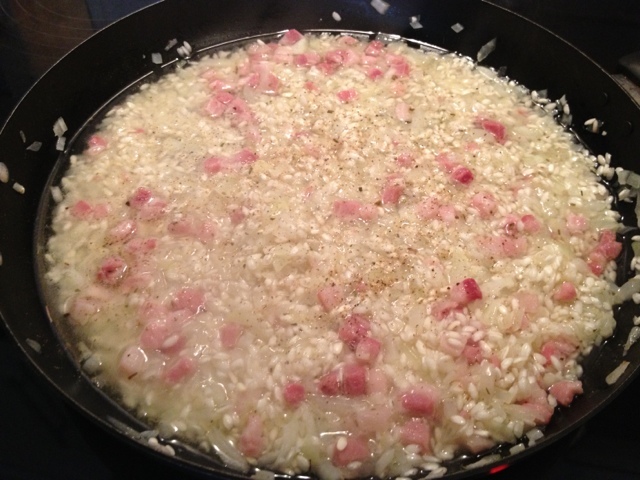 Take the pan off the heat but let the risotto sit in the pan for a few minutes before serving. It should have a creamy consistency but the rice to be individual grains. 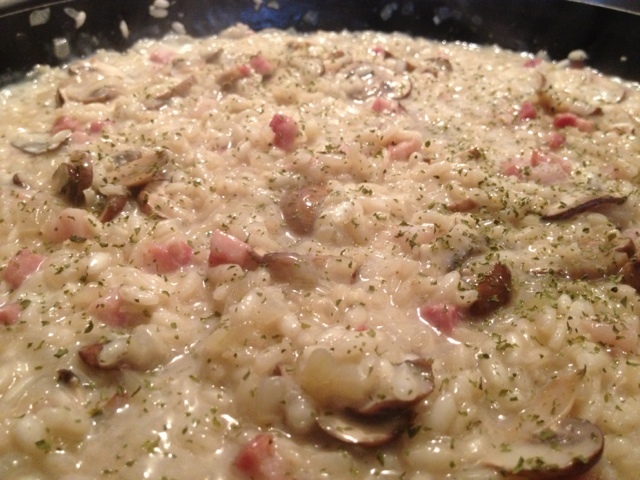 Add a little more fresh parsley and black pepper with a little parmesan to serve. 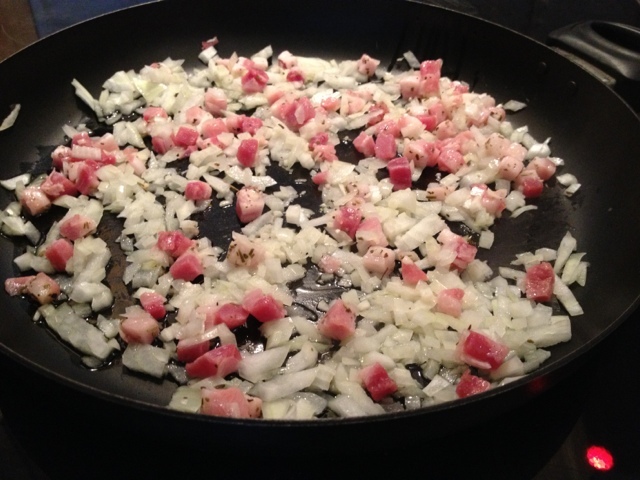 We're going on a rhino hunt!